Well…..maybe not totally……but while the machine is taking over the washing duties, I’ve got lots to catch up on in the sewing room…. I have some “Nice People, Nice Things” to catch up on too…..
and seeing spring is well and truly in the air up here in the tropical north….. 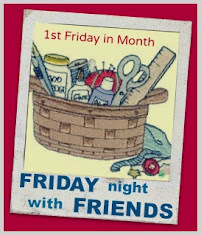 …..I think I’ll design my block for the ladies from our “Sew It’s Finished” blog who manage to eliminate complete a UFO, this month, from their ever-growing pile of UFOs ……..or does that just happen at my house!!??? Lovely stitching you are getting done Wendy..
We are having a beautiful Spring day here. I am enjoying it before the HEAT hits.. So much gorgeous stitchy goodness! !